Bold, brilliant color has taken over for Summer 2013. From red-hued lips to neon nails, and now a stunning peacock effect for your peepers. NYC New York Color is providing The Makeup Examiner’s readers with a step-by-step for this multifaceted, sure-to-turn-heads, hot summer trend. The graduated shade peacock eye appeared all over runways during S/S 2013 Fashion Week, ranging from a subtle sweep of gold and bronze to a bold, multihued version of this sultry, sizzling look. Using brilliant blues, greens, purples, and gold hued shadows, enhanced with dramatic black liner and a finishing touch of mascara, this must-try makeup trend will definitely have you strutting. 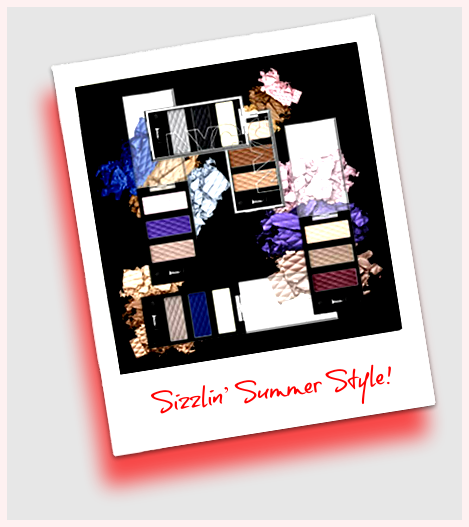 The look is easily achieved with the budget-friendly makeup tools from NYC New York Color’s peacock-inspired shades. 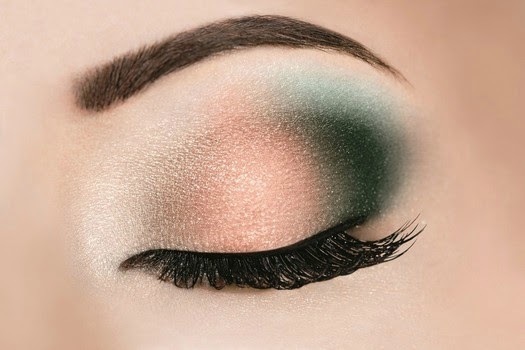 Begin by blending a combination of green and purple shadows to mimic a peacock feather. Use NYC New York Color’s HD Trio Eye Shadow in West Vintage, which contains pale and dark green shadows plus a dramatic purple for an all-in-one pick. Add a shimmering highlight with the golden shade found in the Streets Paved in Gold HD Trio Eye Shadow palette. Start by applying the lightest shadow from the corner of the eye to about 1/3 of the way across the lid with the included applicator. Apply the lightest shadow in a sweeping motion across the brow bone as well. Next, apply the middle shade down the center of the lid, so that the lid is now 2/3 covered with shadow. Extend the shadow to the top of the lid making sure the color is completely saturated. Finally, apply the deepest shadow to the last 1/3 of the lid, blending it in the outer corner of the lid so that you can see it peeking out from the lid. Next, line the eye with NYC New York Color High Definition Liquid Eye Liner in black. A larger flick makes it more pronounced while a smaller flick is a subtler take on this look. The slideshow features the peacock effect sans the winged line, but for a little extra drama, extend the line into a wing. Finish with several generous coats of NYC New York Color’s Big Bold Curl mascara. And there you have it … six easy steps to this stunning look! NYC New York Color cosmetics are available nationwide at CVS.